A colorful setting of flowers and lovely Southern Belle at Cypress Gardens. 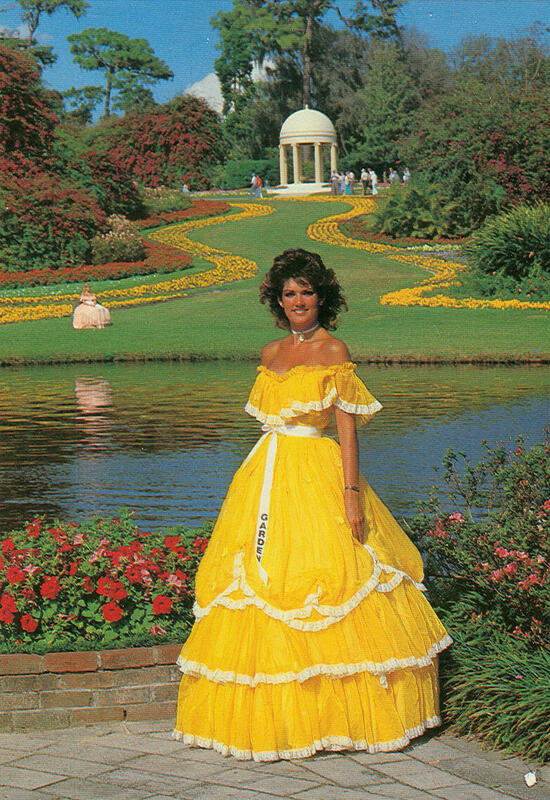 The Southern Belles always captured my imagination as a child. Now that I'm an adult with knowledge of costume history, it surprises me how inauthentic and anachronistic they were in appearance. The suntan and the hair-do really stand out in this example. I wonder if they behaved differently than contemporary young females. I do remember plenty of visiting elderly males enjoying their chance to pose with these denizens of the old botanical gardens.